Reactive Dog Seminar at Potter League for Animals. Did a talk last night at a shelter. The Potter League for Animals is a great place, run by some great people and they invited me to speak for their Pet University. Of course I broke the record for attendees. About 80 people showed up for the talk. I’d love to say I was the reason for so many people showing up but that would be incorrect. 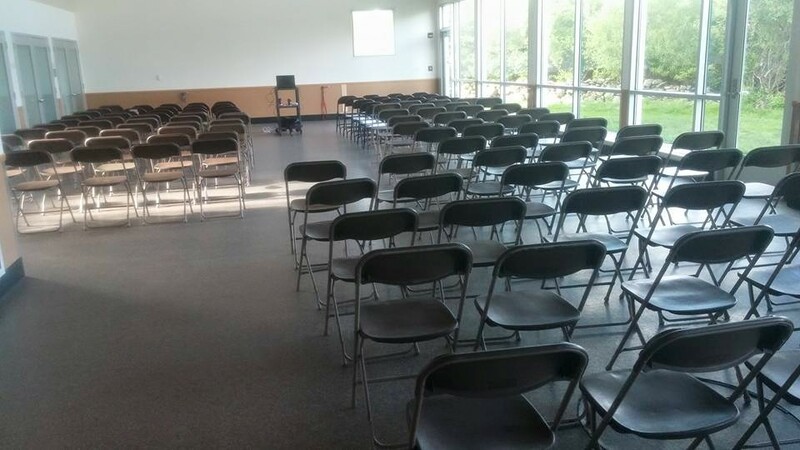 The reason so many people showed up was not me, it was…..
You see, I spoke about reactive dogs, dogs that lunge, bark, growl or are just plain unruly and uncontrollable. Reactive dogs have become a HUGE problem and many dog owners need help which is why so many showed up. I taught them a very specific method for dealing with reactive dogs. More importantly, I showed the results of the training with about 10 different dogs I have worked with. Each dog was trained using the same method. Reactive dogs have become a big problem and there are many different protocols you can use for training. Some of the big ones out there include: B.A.T. (Behavior Adjustment Training), C.A.T. (Congressional Aggression Training) L.A.T. (Look At That) and there are a whole host of others. Not when you follow the I.C.E. Method (Interrupt, Consequence, Establish). You let the dogs approach and once the dog reacts, (barks, growls, lunges) you Interrupt the behavior. Once the dog shows an acceptable behavior you apply a positive Consequence and start to immediately work on Establishing a new behavior. In my experience I find that dogs that are reactive have very little impulse control, They have to be taught to calm down on leash. The reactive behavior they are doing is unacceptable. It’s a behavior that needs to stop. And how do you stop a behavior? YES! You answered it correctly! You apply a negative consequence to stop a behavior. C – Apply the correct consequence at the right time. E – And then work on establishing the new and acceptable behavior. If you think your dog needs an education in impulse control and nothing else seems to work, check out the Dog Training Inner Circle. Best part is you can get started for just $1.00.